The first time we heard this song, we knew an excerpt from this beautiful song HAD to be in our shop. We chose "At the end of my heart's testing, with your likeness let me wake" because we think it beautifully sums up our goal as Christians SO perfectly. 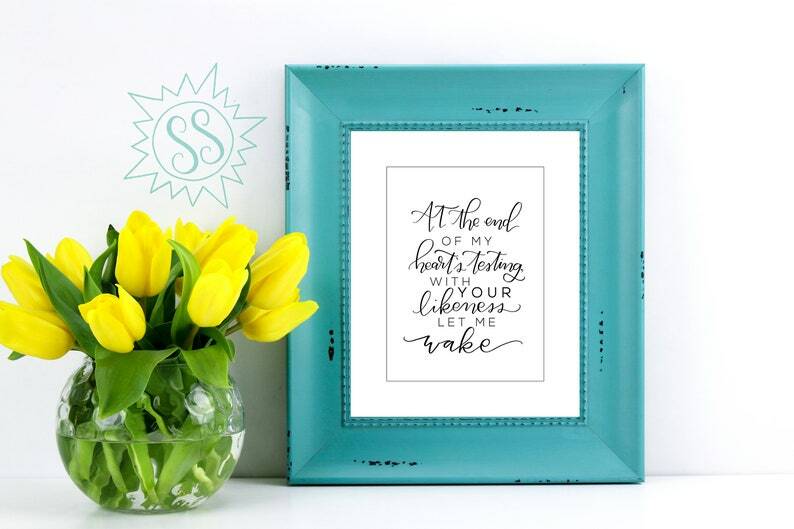 What an inspiring, encouraging piece to hang in your home! Simply purchase, print, and frame. D O N E ! This is NOT sold as a framed piece. This will not be shipped to you. It is an instant .pdf file for download. This file type is included for ease of printing. Please contact me directly at jessgard83 [!at] gmail.com with any questions!